How are you enjoying the show so far? This was our last fortnightly show, as we’ll be coming to you weekly from the first Monday in October – VERY exciting! This week I chat to the lovely Tara Button, ex ad exec turned conscious consumer advocate with her pioneering business “Buy Me Once”. 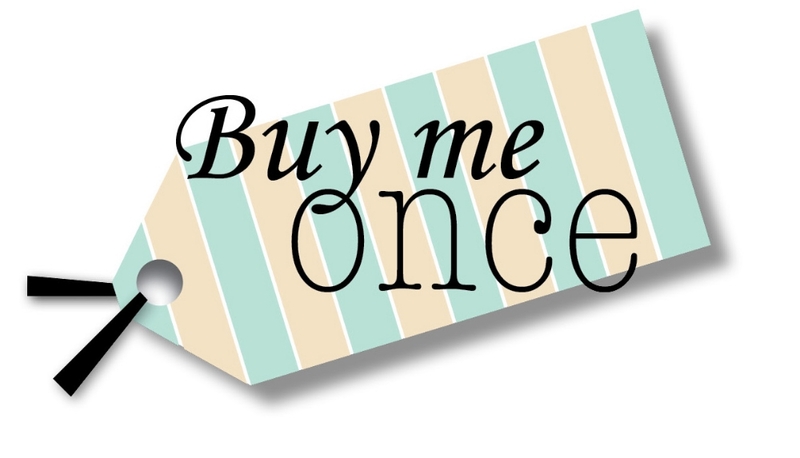 Buy Me Once calls on people to focus on investing in items that will last a life time, as opposed to engaging in the current cycle of getting good, cheap deals and constantly buying lesser quality items. We talk about some of the tricks employed by advertisers to get us hooked on things we don’t need as well as about the inception of Buy Me Once and her hopes for what it will bring to people. Launched currently in the USA and the UK and soon to also be in Australia and Canada she sure is a woman on a mission to spread the “buy less, buy better” love. Enjoy the show and don’t miss your amazing partner offer from Weleda Australia (Australian residents only). One of my favourite little moments was when Tara shared her “I don’t need” list – a list she uses to stay strong in the face of the things she’s most likely to cave on in the face of good marketing or a pretty window display. It sparked an impromptu challenge for you guys to share your lists too! Will you join in the little challenge from this week’s show and share your “I don’t need” list on social media this week? There will be a prize for the winner: And no it’s not ‘stuff’, but it’s that YOU will get to choose the topic of a future show. Any sustainability focused / low tox topic you fancy! Hashtag #lowtoxlife or tag @lowtoxlife with your list on instagram to go in the running. 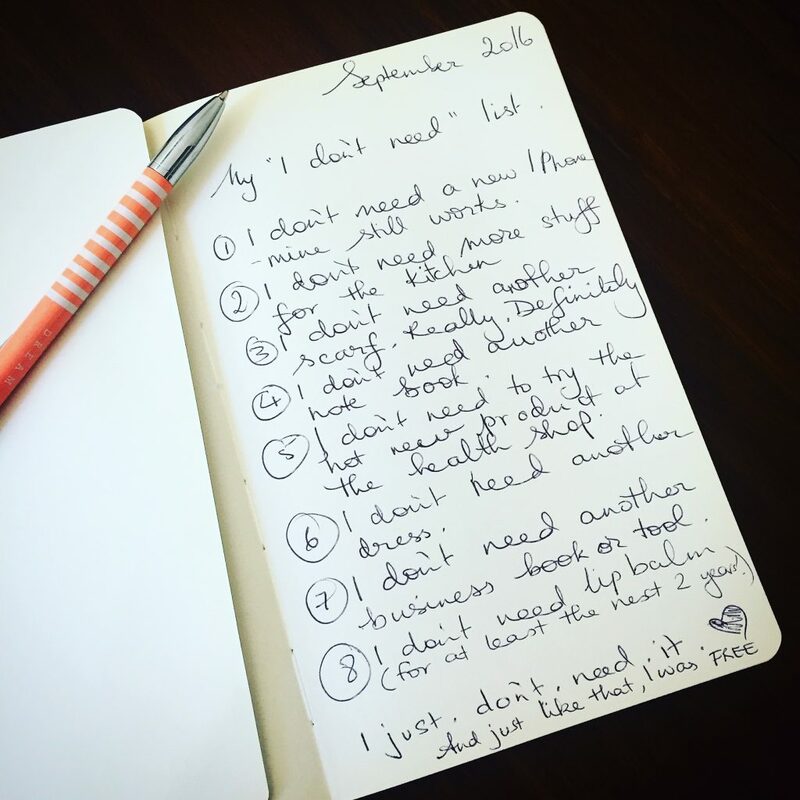 Check out Tara’s “I don’t need” list HERE. What’s going to be on your list? I haven’t written out a “I do not need list” yet but instead of buying new fuzzy boots, I will wear my old ones until I can save the money for a good pair that I love and which will last years to come. I will make do with my broken-ish vacuum cleaner and save for a better quality one that can be repaired if it breaks rather than throwing it into the landfill. I will (oh so painfully) walk away from the amazon.ca buy it now button and try to patiently wait for my book orders from the local library. I will use up the food we have at home and try to get my outrageous food budget down a bit (I work in nutrition and love good quality food but my budget is not sustainable). I will express gratitude every day (I already do) for my small wardrobe:) I will force myself to buy a new bra that fits even though I hate bras. I will stop buying supplements and essential oils even though we *need* them until I can do so with integrity; that is there is room in my budget for them. I could keep going but will spare you. Thanks for your podcasts – I thoroughly enjoy them. Anywho, my partner and I are looking for a good quality cast iron pot. Le Creuset is the obvious go to, but having read one of your previous posts on Teflon, I notice you said “enamel” is OK… Target have a $50 enamel coated, cast iron pot.. How do I know if their enamel is safe or toxic? Admittedly I have an existing enamel coated pot that I thought had started to degrade/turn vicious. How do you know if enamel has degraded to the point of danger? Can it? Hi Alexx, I have really enjoyed listening to your podcasts. My son has been enjoying them in the car too. I couldn’t quite catch the brand name of the frying pan people from Australia. Was it Solar Technix?